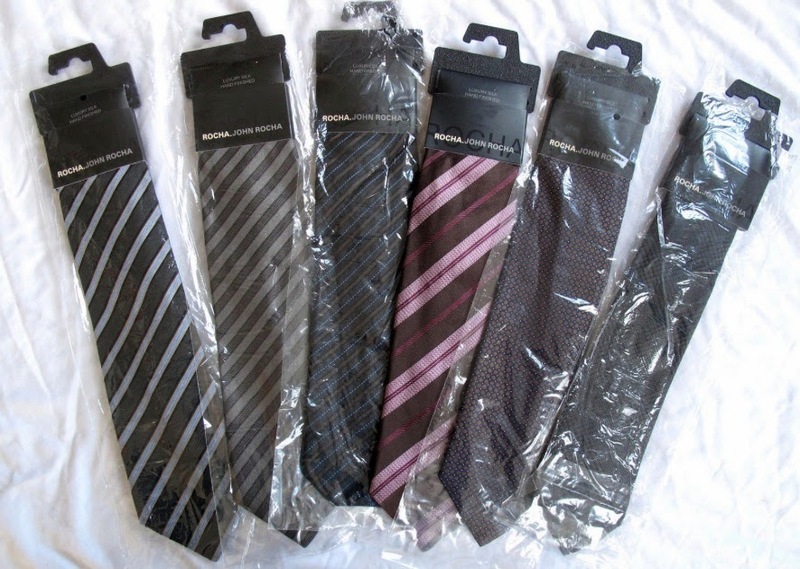 Today I’ve got a little gem for you - if you’re a completist when it comes to the Tennant ties! A reader has highlighted an eBay listing from a seller who trades in surplus stock. 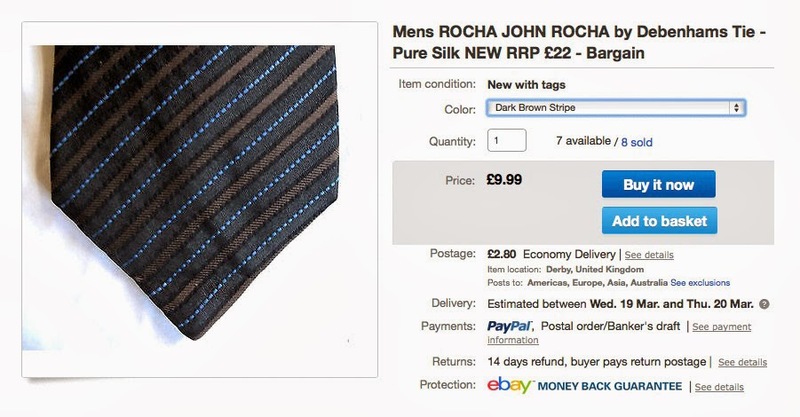 They are selling a range of Rocha John Rocha ties, among them is the tie bought by costume designer Louise Page, but which ultimately went unused. 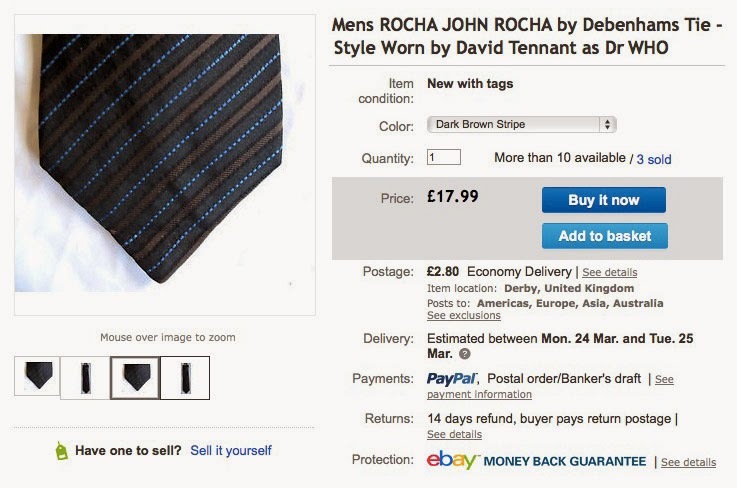 The unused tie then sold as part of a job lot at the Bonhams 2010 Doctor Who auction. 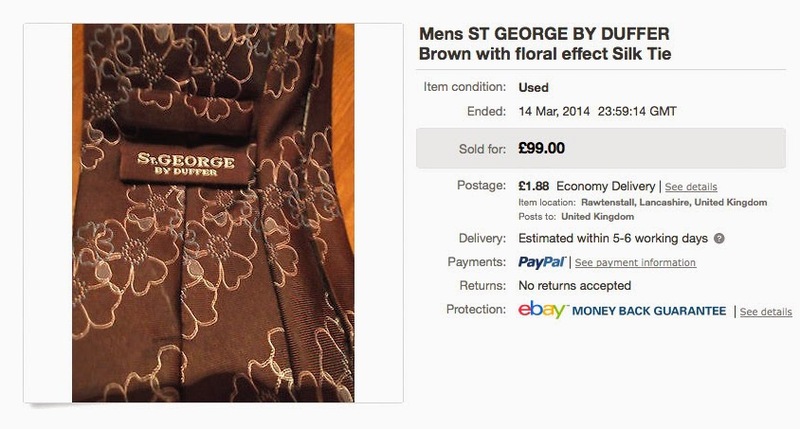 The tie was initially selling for £9.99 - an absolute bargain! They had a few for sale, and after being told of the Doctor Who connection, restocked with over a dozen of the ties - at the higher price of £17.99! You can buy the tie through the original listing (above) or a new dedicated listing (below). One of my readers brought this to my attention, and we ended up doing a mutually beneficial deal. 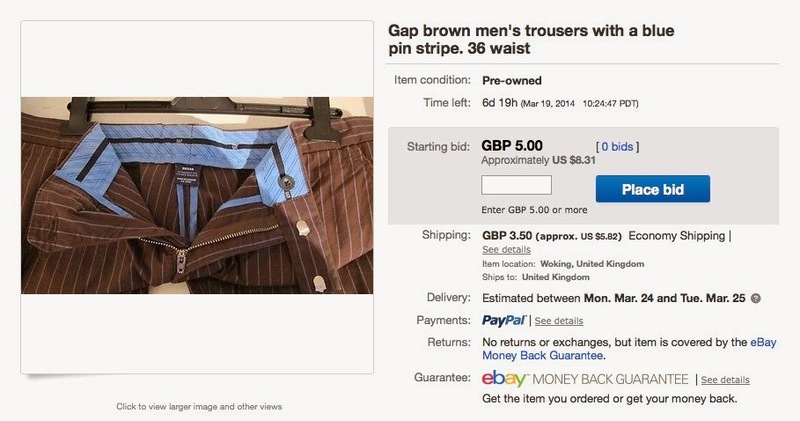 He spotted a pair of GAP trousers on eBay and was already speaking directly to the seller to secure them. However, they are waist 36 which is a size or two too big for my friend. Ends up he needs a waist 32 - which I have half a dozen pairs of. 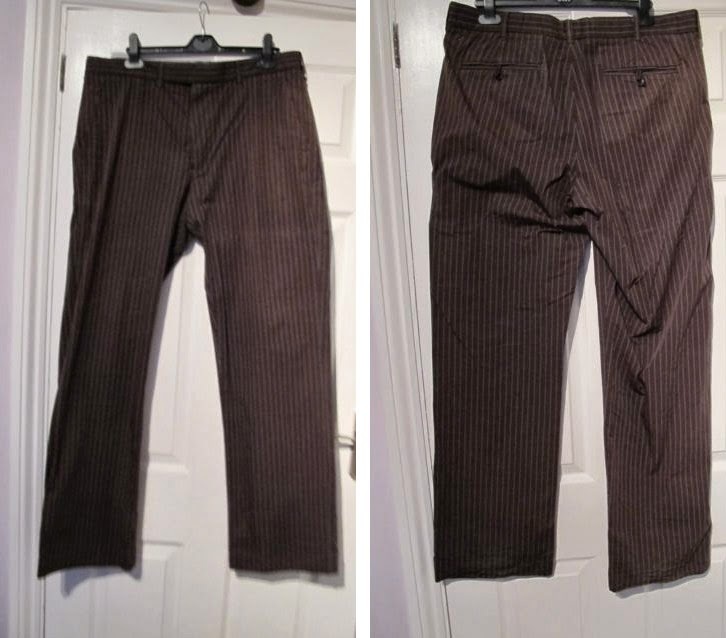 I’d be happier with a pair of waist 36 as these will give me just a bit more fabric once dissected to use to make an Ultimate Tennant Suit. So we agreed a straight trade - his 36s for a pair of my 32s. He’s actually ended up a bit better off as mine are mint and still with labels, where as these are pre-worn. 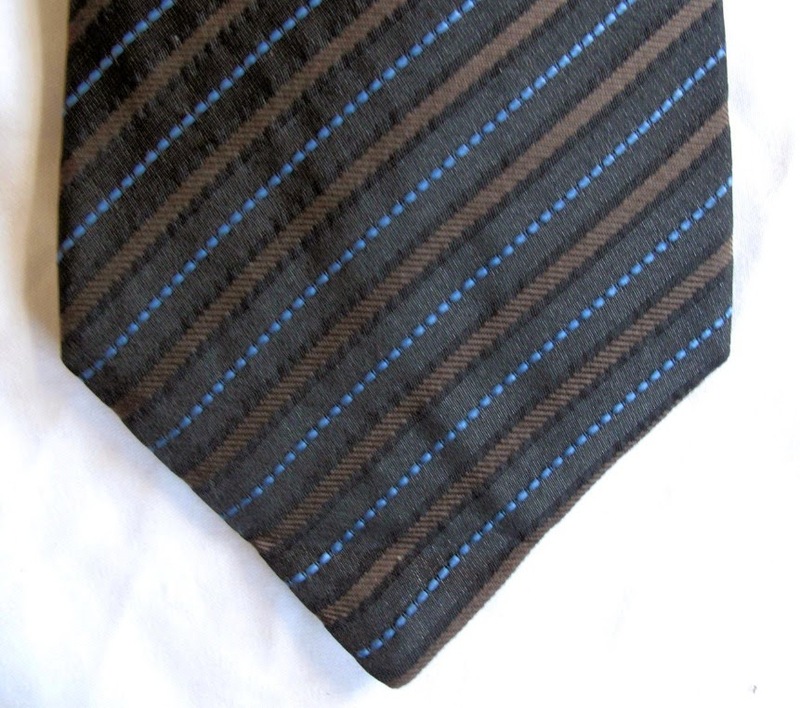 Dark brown with a blue pinstripe. Cotton. Waist 36 length 34. 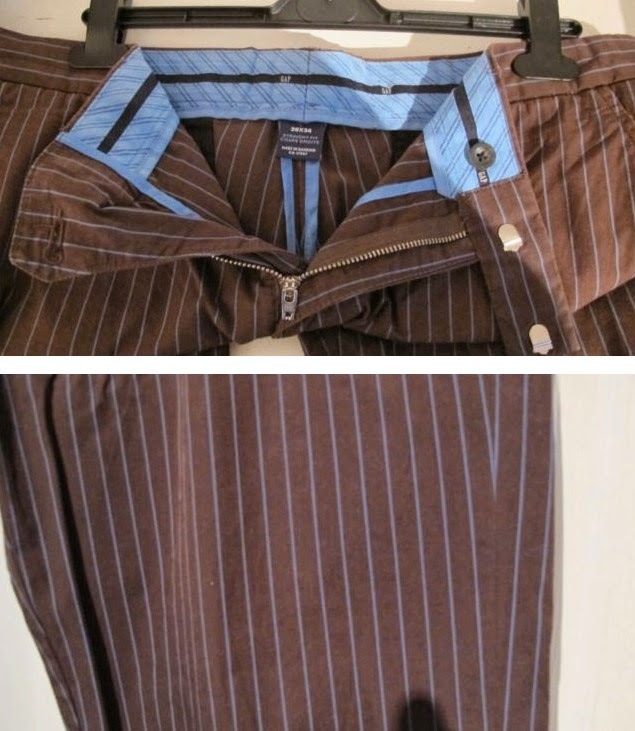 2 back pockets with buttons. Waistband with 7 loops for a belt Zip fly with button and hooks to fasten. 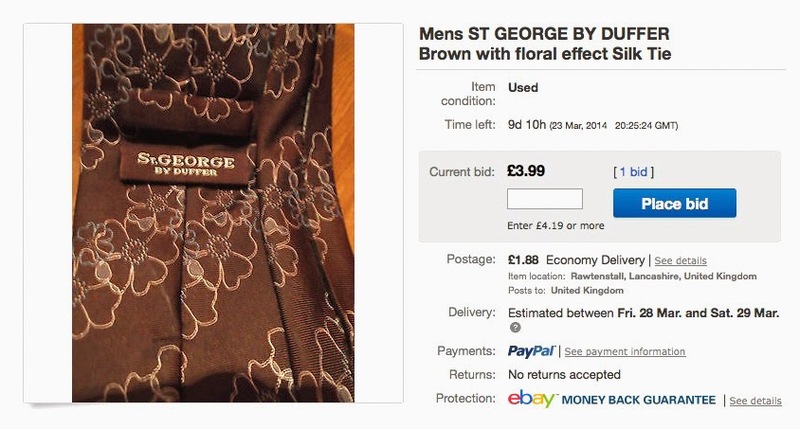 It’s funny how a £3.99 listing can transform itself into a £99 listing overnight - when someone tells the seller the tie is desirable. I’m sorry, but as a cosplay community, isn’t it about time we all agreed to just keep quiet? 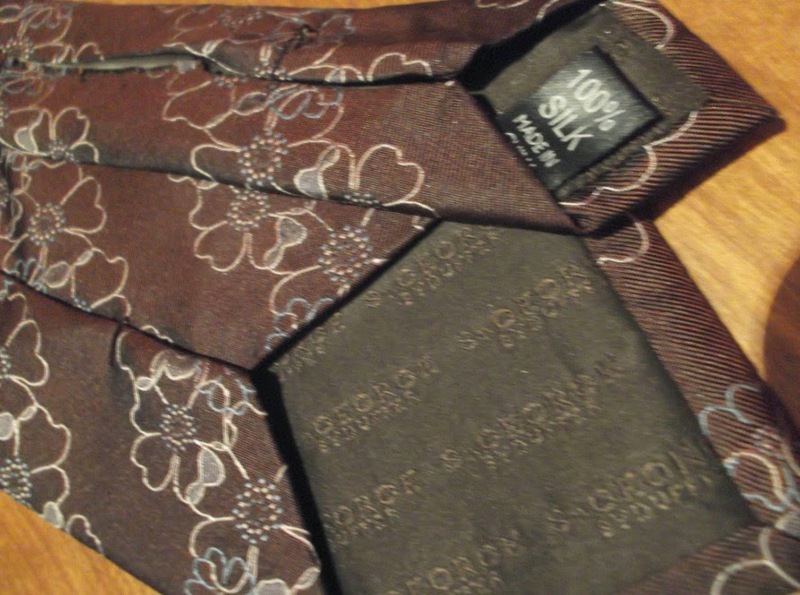 PLEASE CHECK OUT MY OTHER DESIGNER TIES, I will combine postage (where applicable).
! !See my designer tie feedback!! I send everything recorded delivery, so never any issues, thanks. Rocha John Rocha - grab a bargain while you can!